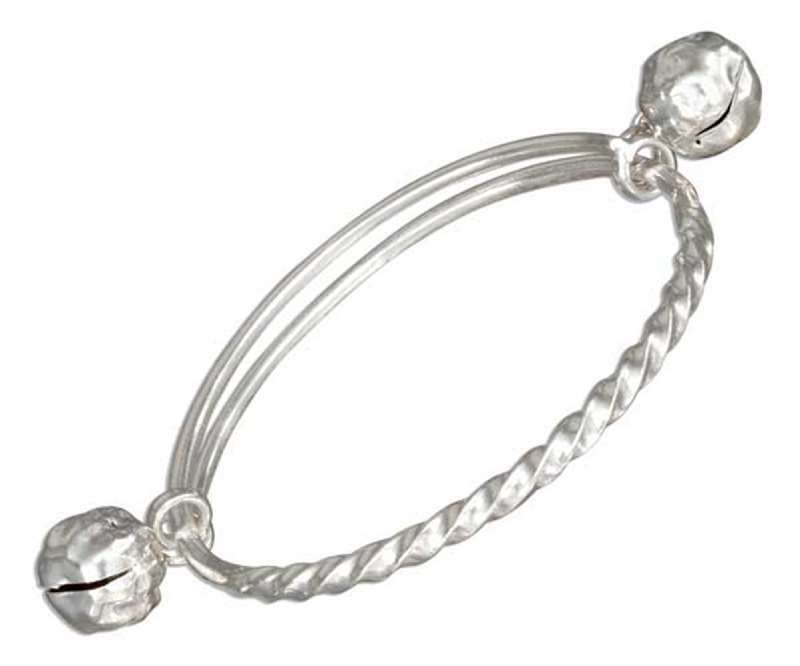 Sterling Silver High Polished With A Twisted Band Belled Baby Anklet Ankle Bracelet. The Bracelet Has A Diameter Of Approximately 49mm. The Bracelet Can Be Stretched Or Tightened SLightly By Sliding It Open Or Closed.